BROKK 520D is a beast. With 40 percent more hitting power and the ability to size up attachments, this diesel-powered machine outperforms everything its size. It's stronger, faster and has a longer reach - while keeping key compact dimensions of its predecessor Brokk 400D. 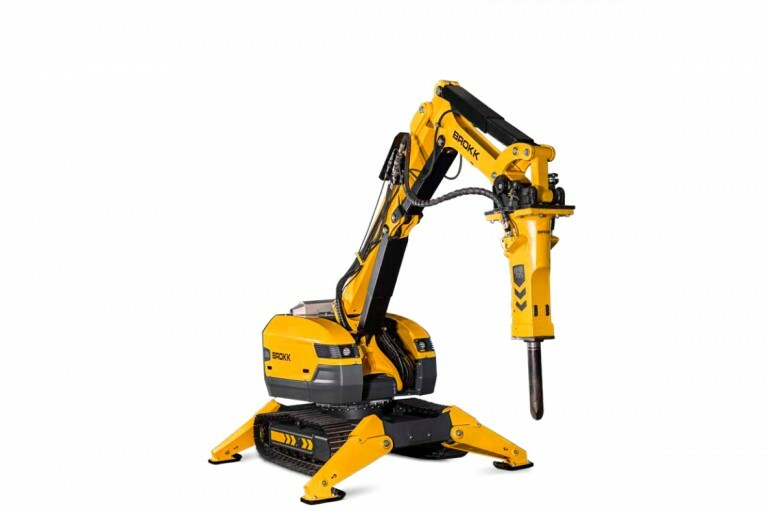 Adding the Brokk SmartConcept - the reliability of SmartPowerTM, the clever features of SmartDesignTM, the ergonomics and productivity of SmartRemoteTM - this machine is optimal for the heaviest of tasks in any industry. Meeting new emission standards (EPA Tier 4 Final/EU Stage IV) it is also the greenest diesel demolition robot on the planet.